This is called a Sybil-resistance mechanism. This is reducing computation costs to self-regulate the network and allow fair participation. This is more suitable when there is a competition for cryptocurrency promotes security on the network, anonymously and open networks. But in private networks it doesn’t have any value of it. As an alternative it has a protocol Proof-of-Authority, is more suitable for permissioned networks which consensus participants are known and reputable. No need of mining and Proof-of-Authority is more efficient while still retaining Byzantine fault tolerance. Microsoft has created this solution with the same principles that they use to create all their products and services. 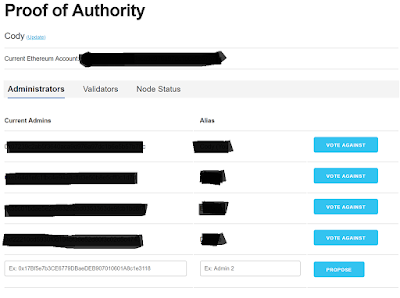 Using Proof-of-Authority, each and every consensus node on the network has its own Ethereum identity. Whenever a node goes down, and member shouldn’t lose the consensus participation. Which means every member needs to run redundant consensus nodes because of highly available network presence. To ensure highly available network presence Microsoft has built an abstraction which allows each consensus participant to delegate multiple nodes to run on their behalf. Each Azure Proof-of-Authority network comes with our identity leasing system that ensures that no two nodes carry the same identity. In the case of a VM or regional outage, new nodes can quickly spin up and resume the previous nodes’ identities. 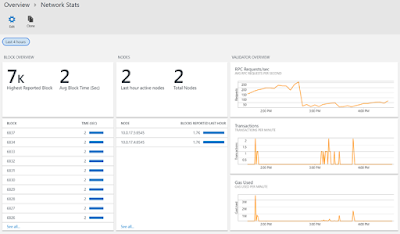 This also enables the ability to track the node and network statistics using Azure Monitor. This will be a visualized display for application developers, to track block generation statistics of the block chain. 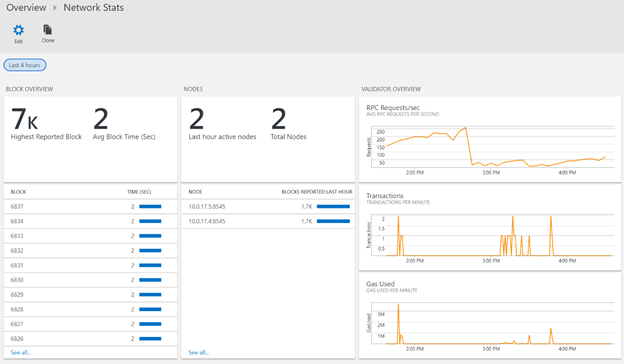 Network operators can use Azure Monitor to quickly detect and prevent network outages through infrastructure statistics and queryable logs. Even the members wants to participate in a consortium but don’t want to manage the network infrastructure, Microsoft has increased the extensible Proof-of-Authority client to build a level of abstraction that allows our users to separate consortium governance from network operation. Each consortium member has the power to govern the network and can optionally delegate the consensus participation to the operator of their choosing. It this contains Governance DApp to support for deployments and to simplify voting and validator delegation. There is a secure sign in for the solution which each consortium member has custody over his or her own keys, allowing secure signing to be performed in the wallet of preference. Ex: MetaMask in-browser wallet, Ledger hardware wallet, or Azure Key Vault with ECC signing. · Decentralized governance - Changes in network authorities are administered through on-chain voting by select administrators. 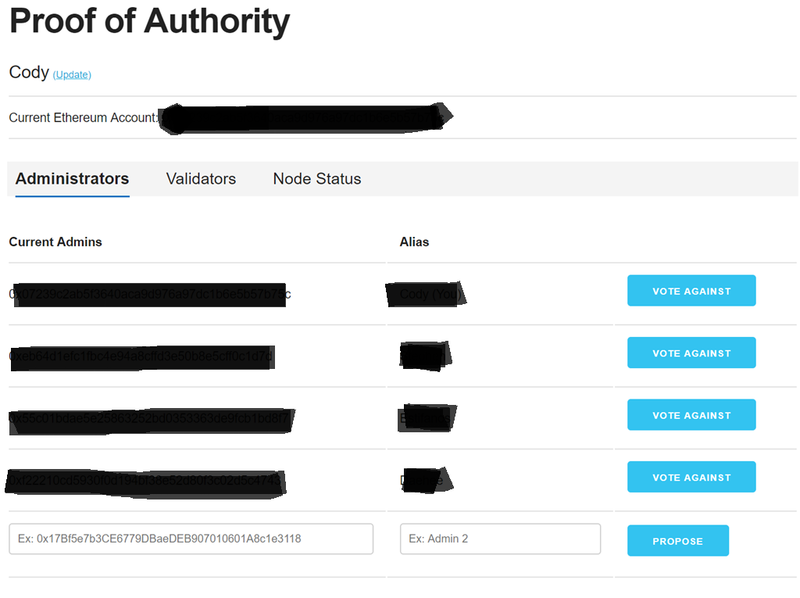 · Validator delegation - Authorities can manage their validator nodes that are setup in each PoA deployment. · Auditable change history - Each change is recorded on the blockchain, providing transparency and auditability.